Contrary to popular belief, people do become bored with their startups and businesses. Everyday it’s the same ol’ boring routine. But there is hope for you. Something for you to do that is fun, refreshing and makes you feel good. What’s that you ask? Simple, you can use your skills to help out a nonprofit organization (NPO). Volunteer some of that extra time that you have to an organization. Now the question becomes; well what can I do for an organization? Glad you asked. All those glorious years in business school and graduate school should not be wasted on your 9 to 5 job only. Branch out and use the skills that you developed in your yesteryears for something good. If you are still stuck with not having any idea of what to do, well here are a few ideas. Before anything there needs to be a strategy. Researchers, who go out into the field to collect data, would likely be candidates for this. Get the skinny on what people are looking for from nonprofits; what do they expect from the organization. Then analyze the market for which the organization is in. Possibly helping the organization understand what is needed of them. I’m convinced that marketing majors or people who are amazing in marketing would do well with setting up fundraisers and dealing with PR items. Nonprofits are going to always need help getting funding from the community or wherever they get their funding from. 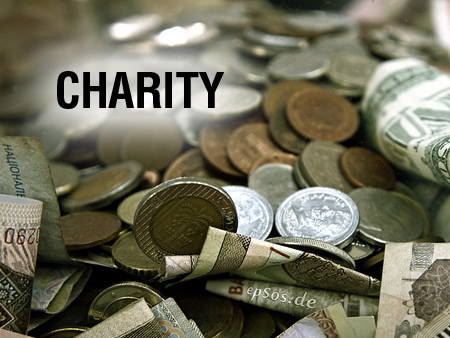 Fundraisers can sometimes peak the interest of people and even potential investors. Can you say crowdfunding? Blogs and press kits are ways to further get people interested in the organization. Even more so marketing people can help build an online presence for the organization using social media outlets such as Twitter and Facebook. People who work day to day on websites and/or using technology, nonprofits can benefit with your help too. Of course building a website would be greatly appreciated by the folks of the nonprofit organization. Not to mention if you add on some multimedia bells and whistles such as a video of the organization. Probably would do wonders if the video were linked to the organization’s Youtube account. Also IT people would likely help nonprofits with updating software and fixing tech problems wherever necessary. HR people can have fun helping nonprofits hire people that are right for the organization. The organization can sometimes get very busy with their work and maybe need outside help with hiring people. It’s the small things that we sometimes forget when packed with so much work. When office life becomes boring and routine, try volunteering to help others while restoring your inspiration and feelings of wellbeing.